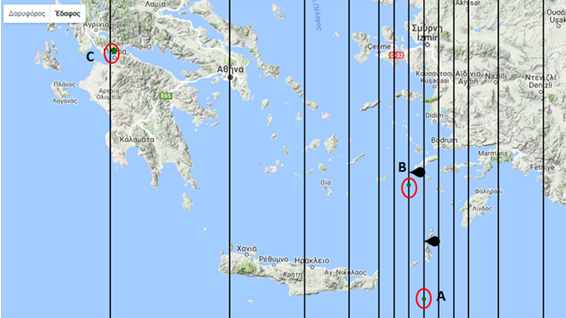 Earthquake Prediction: Earthquakes in Greece, January 2017. 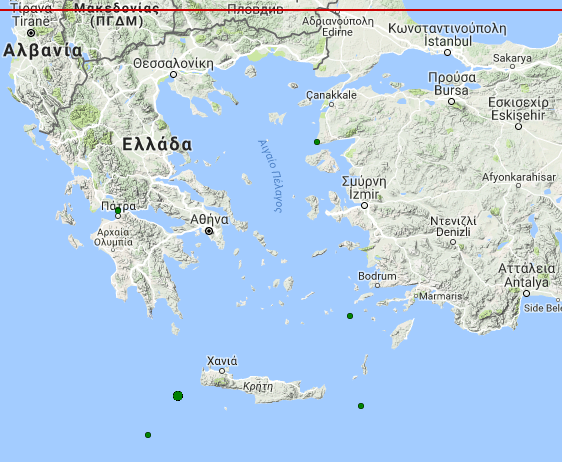 Earthquakes in Greece, January 2017. 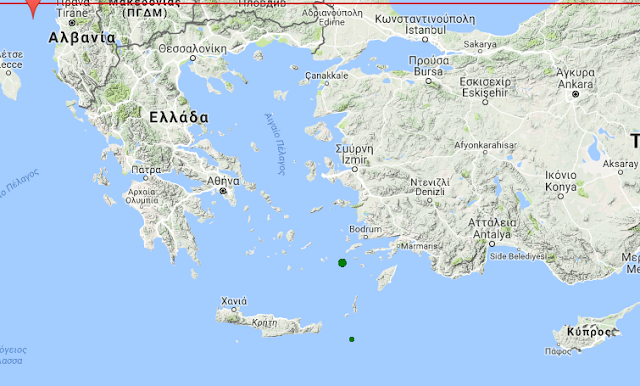 During 1st-22nd January 2017 Greece has had six different locations of 4R+ earthquakes, located as shown in the map below: Most people will say a nice random dot set. We will show you by this example nothing is random, and they are related. We will demonstrate in the following maps/charts that there is a link between them. 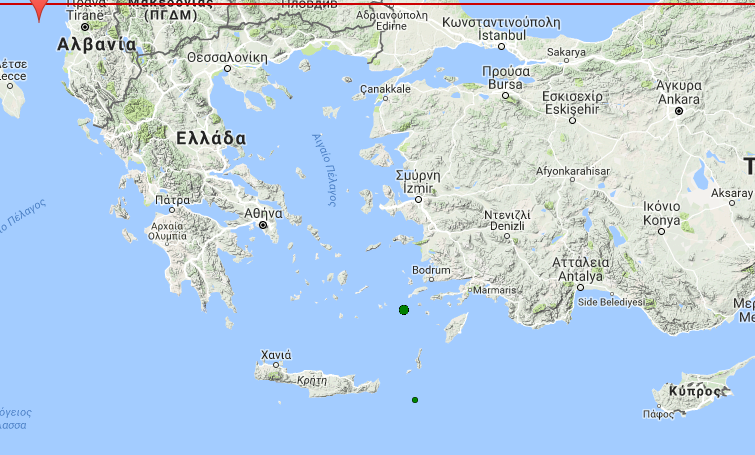 We take the very first two earthquakes of the year, as shown below, East of Crete. We can see them as green dots. 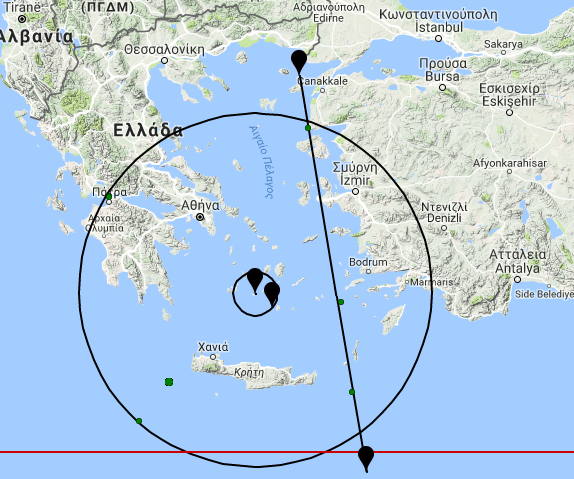 Next we fit a vertical set of fibonacci lines via the two earthquake epicenters, shown on the map as A and B. You can see the Fib. Lines unfolding to the left below. Then next came the 5th location, the earthquake marked as C on the next map below. We can see this is also on the Fibonacci Line!! 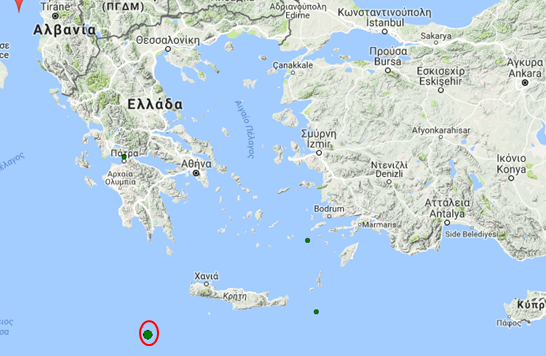 Next came the 6th earthquake marked D West of Crete, today and this is also very close to the Fibonaci line as we can see below.....Is it luck again?! .... All six events of the year are related. Finally, here is a bit of Geometry. We try to link most of them together, without trying too hard with a line and a circle we fit most of them..... Be Safe Be Good, Nothing is Chance.